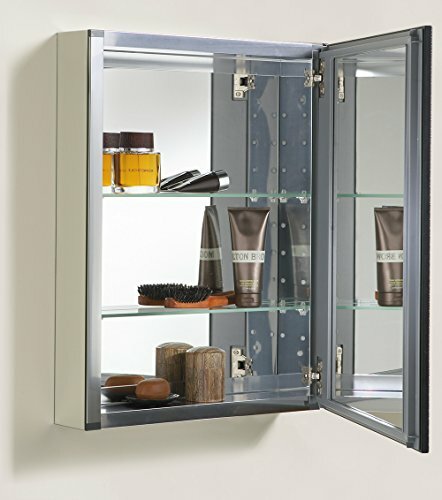 Kohler medicine cabinets are frequently mentioned when debating about proper storage of personal hygiene products arises. From the look of things, these are among the most sought-after units on the market. 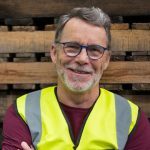 However, the jury on whether they really meet every individual’s needs is still out which is why we found it wise to take a deeper look at a few of them. 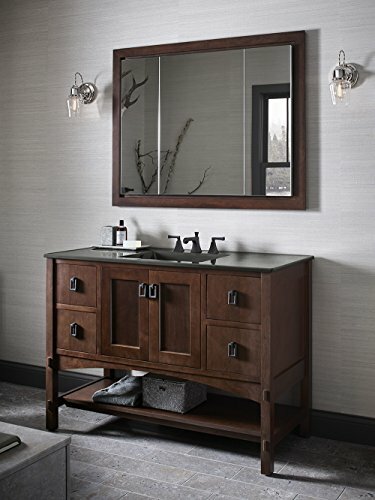 In this brief review, we compare 10 Kohler medicine cabinets and arrive at a decision on which one of them offers the best value for money. If you’re looking for one of the best all-in-one Kohler medicine cabinets to fit in your small bathroom, then you should consider investing in this KOHLER K-CB-CLC3526FS. It features a sleek mirrored surface both inside and outside making it a versatile option. Its elegant design and classic finish make this cabinet a good investment. It also boasts rust-free aluminum design and chip free finish to make sure it has a long-lasting performance and backed by 1-year limited warranty. Features four adjustable tempered-glass shelves so you can store all your essential toiletries plus other bath items that can be easily adjusted in 2″ increments. You can easily take out the shelve and clean it. The 1/2-inch beveled-frameless cabinet that can either be easily fixed with a right or left hinge. A 34-1/4″ by 25-1/4 rough opening size and reversible for right or left-hand opening that allows full cabinet access. 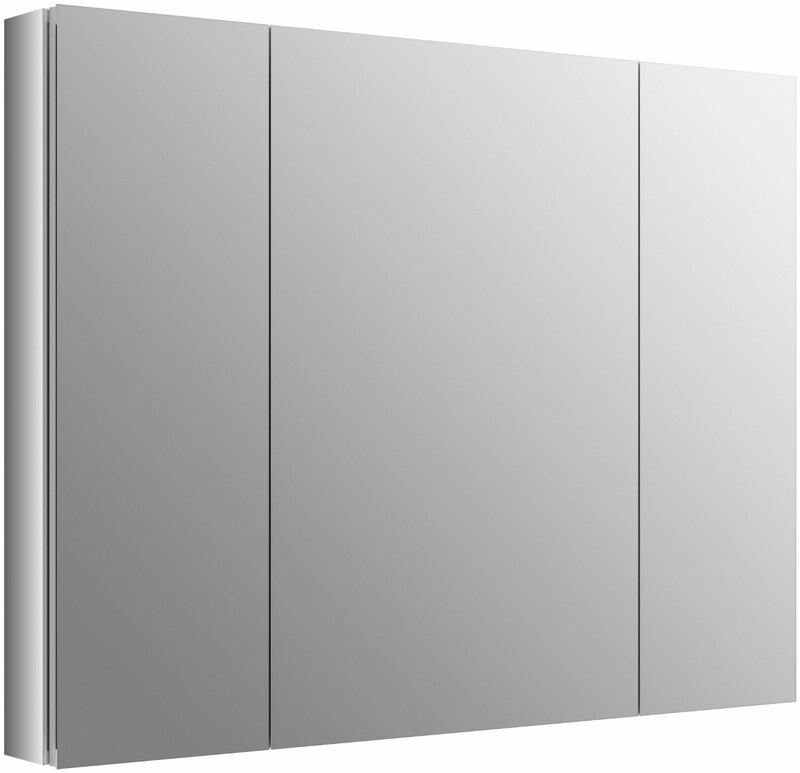 Triple mirror design with a mirrored surface on both the back and front as well as the backside of this cabinet. Mounting hardware for easy recess or surface installations. 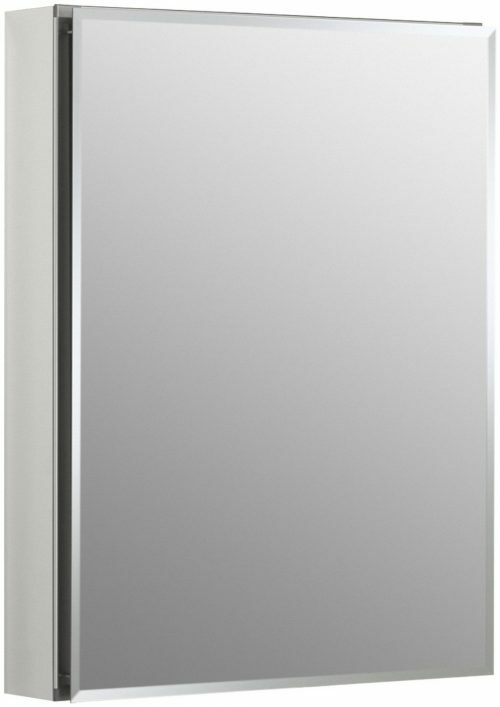 Besides being sleek, these Kohler medicine cabinets come across as hygienic, space friendly and above all well built. 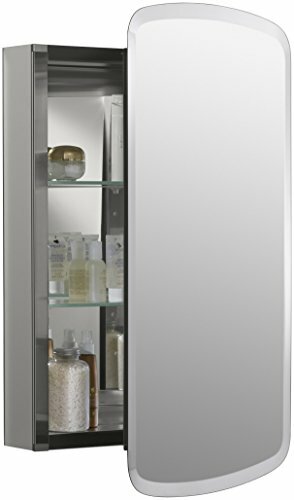 The K-CB-CLC2026FS model, in particular, has a single door that opens to mirrored aluminum cabinet that offers a sleek design, which is sufficient to complement your bathroom style. The all-in-one design ensures you are able to store all your personal hygiene products in a safe area that’s complete with a beveled frameless door that’s enhanced with a right/left hinge. 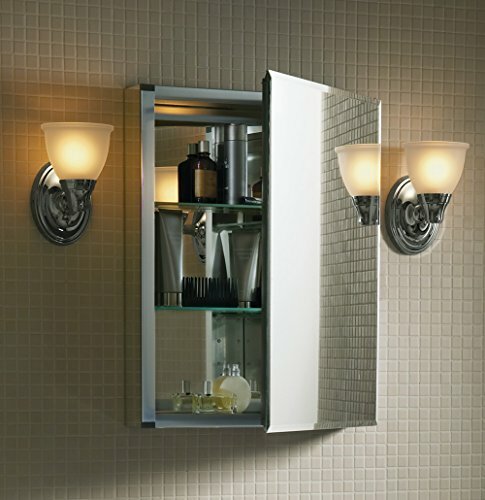 Has two adjustable 1/4 glass shelves that are sufficient to hold your bath items and toiletries. The Kohler medicine cabinets can be adjusted in two-inch increments. Protected by aluminum material that is rust-free ensuring many years of use. This is in addition to a one-year limited warranty. Its front door features a beveled edge to enhance style. The exterior boasts chip-free finish with the door having beveled edges. 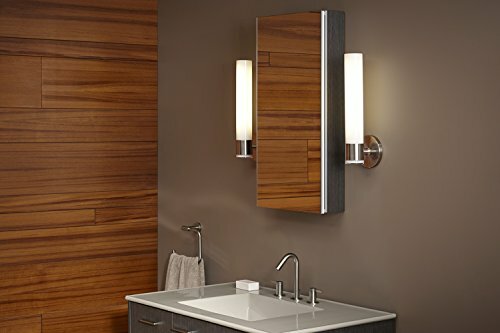 With their anodized aluminum and glass construction, these Kohler medicine cabinets are renowned for providing a stylish complement to bath and powder rooms. 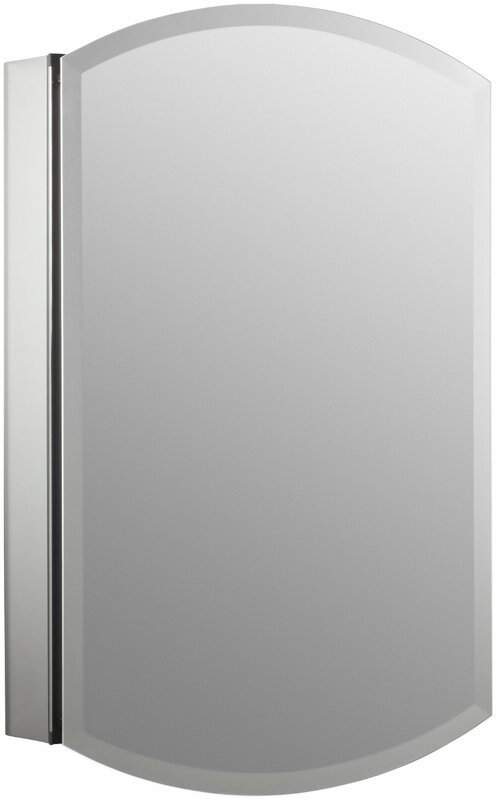 KOHLER K-3073-NA‘s mirrors are perfectly positioned on the backside and front side of the door as well as the interior of the cabinet. 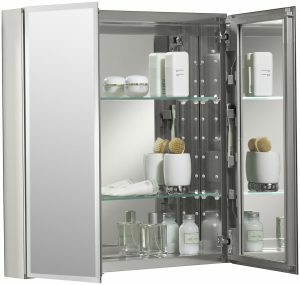 Inside this Kohler medicine cabinet are two adjustable glass shelves that are optimized for holding toiletries and bath items in place. On the exterior is an aluminum finished surface that is smooth, classy and chip-free making it rust-resistant as well as rot-resistant. Exterior boasts anodized aluminum construction with a chip-free and rust-free finish. The door contains 180-degree capacity opening hinges which make it easy to install these Kohler medicine cabinets as well as access them. Comes fully equipped with mounting hardware for recessed and surface installation. That’s alongside a side mirror kit. Can be installed with right-hand or left-hand swing. Kohler K-2967-BR1 is not only well constructed but also it is one of the Kohler medicine cabinets that have an elegantly detailed frame. Its mirrors are positioned on the back and front of the door and also on the interior of the cabinet. Inside the cabinet’s surface are two adjustable shelves that are made of glass and conveniently installed to hold your bath items as well as toiletries. On the exterior is an aluminum cover that is both durable and rust-free. Its exterior is entirely covered by a sleek aluminum construction that is both chip-free and rust-free. Inside it has two adjustable glass shelves that are made of tempered glass that can be adjusted over a range of 2 inches. Has two-way hinges that offer 108 degrees operability for enhanced access into the cabinet. Thus the door can be installed to swing either leftwards or rightwards. One of the Kohler medicine cabinets that come fully equipped with mounting hardware and side mirror kit for surface mount installations. 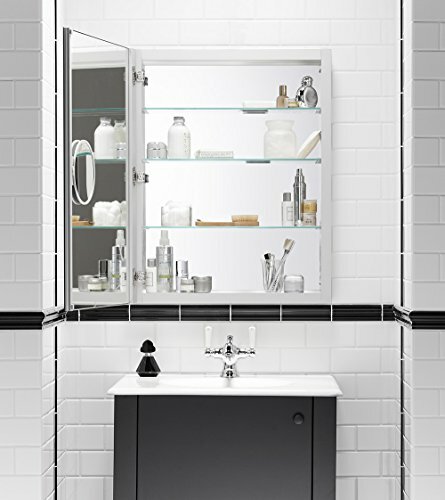 This elegant, frameless medicine cabinet brings functionality to your home and offers a list of enduring qualities. 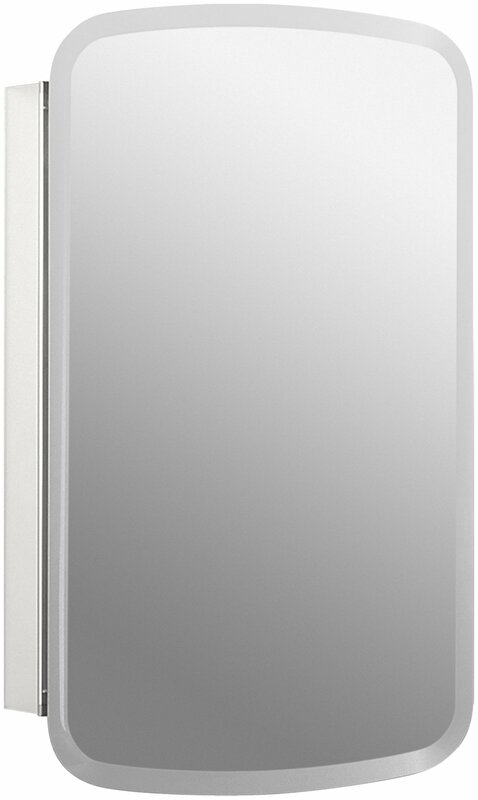 On a scale of 10, K-CB-CLC3026FS is one of the few Kohler medicine cabinets that offer the greatest combination of high-quality features for the discriminating consumer thus deserving a rating of above 8/10. One noteworthy fact about this unit is that it is beautifully detailed with each accessory adding to the essence and aesthetic value of the room. Although this is Chinese made, its space-saving features and asymmetrical frameless doors go a long way to show that it indeed meets international standards. 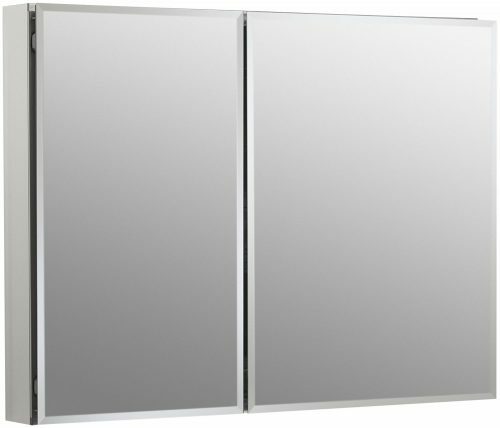 Has two doors both which are mirrored to offer a sleek design that complements any bathroom decor. 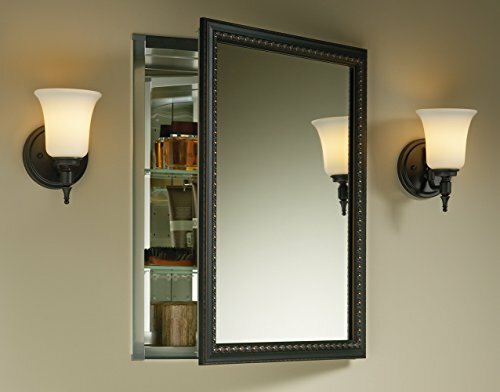 Has an all in one mirror and full cabinet installation that saves much-needed space for tinier bathrooms allowing you to store your personal items in a well-hidden area. Has triple mirror design that creates the image of a mirrored surface giving a 3D illusion to the user. Measuring 30X26X5 inches, this is truly one of the Kohler medicine cabinets that are spacious to hold a large number of products at once. If you are looking for Kohler medicine cabinets that offer enough space for your personal hygiene products and enhance the value of your bathroom, the K-CB-CL2526FS is a good bet. 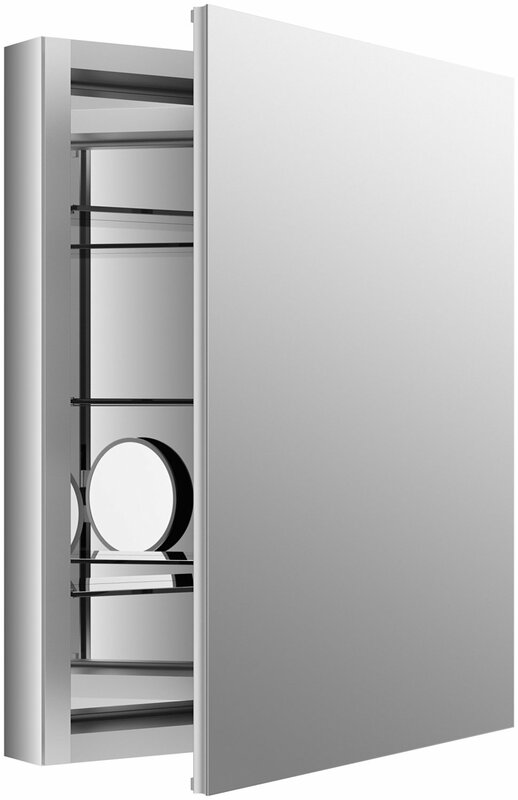 This model boasts double-door with mirrored aluminum cabinet that offers a sleek design complementing bathroom styles. 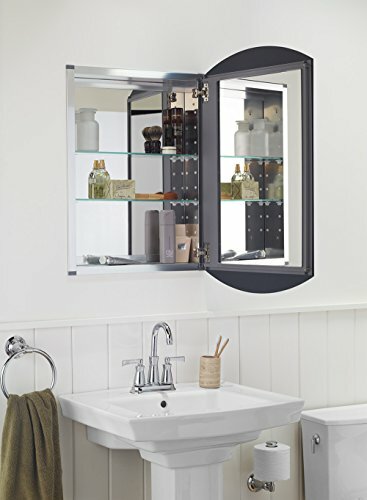 Being an all-in-one unit, this medicine cabinet saves vital space for small bathrooms allowing you to keep your valuable products in a hidden area. 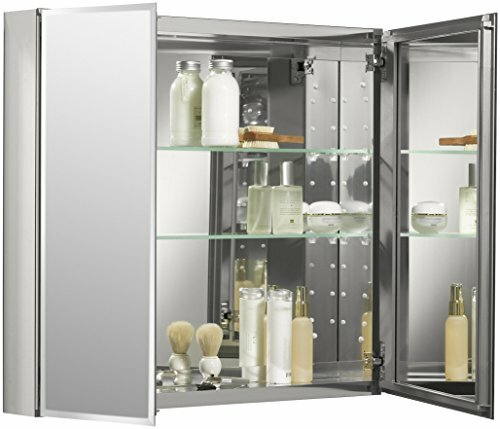 Inside the cabinet is a triple mirror design with a mirrored front and back door surface as well as the interior surface. 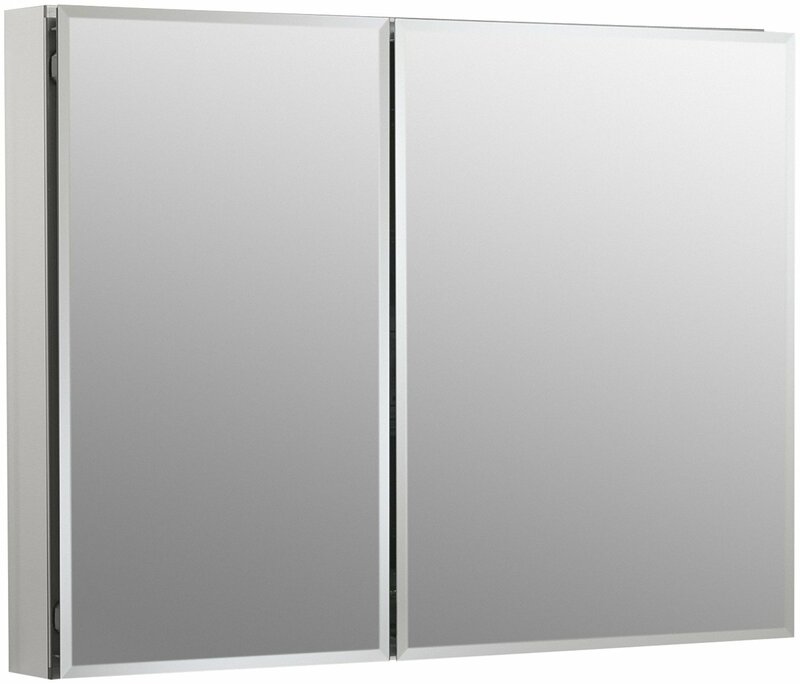 Measuring 25x26x5 inches, these Kohler medicine cabinets feature beveled asymmetrical frameless doors measuring a whopping 15×10 inch wide. On the inside lies two glass shelves that are entirely made of tempered glass and are adjustable in 2-inch increments. The exterior surface is complete rust- and rot-free because it is made of anodized aluminum. 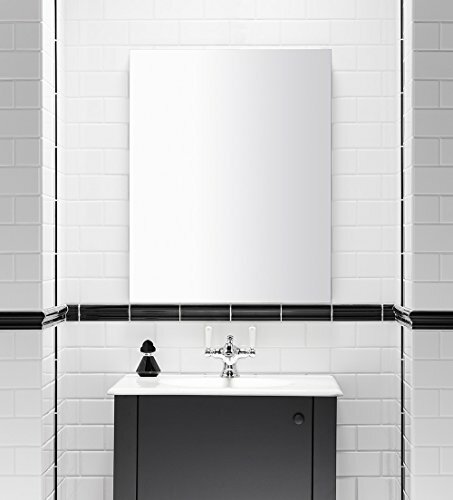 This Kohler medicine cabinet enhances the functionality of modern bath spaces while adding a sleek element that is sure to withstand the test of time. 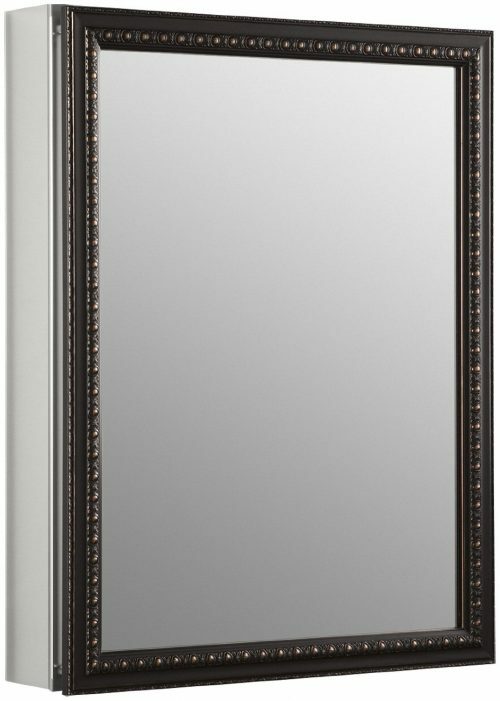 KOHLER K-99007-NA Verdera 24-Inch By 30-Inch Slow-Close Medicine Cabinet With Magnifying Mirror offers high-end finishing touches including slow close hinges that prevent the door from slamming making it one of the best Kohler medicine cabinets. 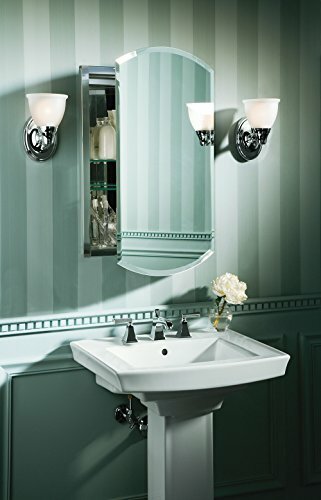 It is also constructed with rust-free aluminum making it ideal for moist environments and its attractive design adds a glamorous touch to your bathroom. 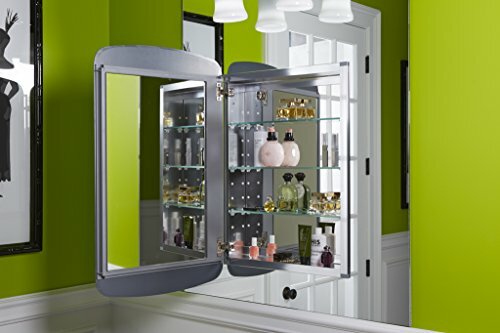 A built-in magnifying mirror that is vertically adjustable so it can accommodate individuals of different heights located on the inside of the cabinet’s door. 3-adjustable tempered-glass shelves to offer you plenty and flexible storage for small and large items. Fully mirrored door and interior thereby creating an elegant finish. Boasts a mounting hardware that allows for easy installation either surface or recessed installation. 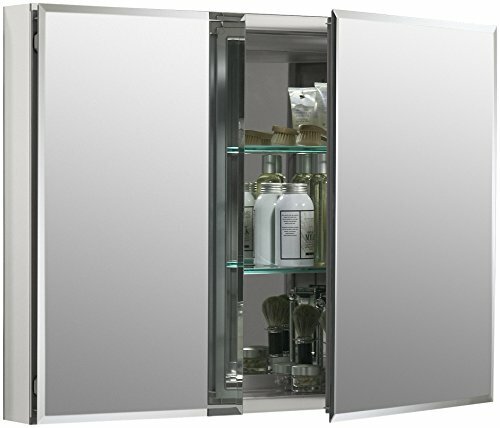 This is yet another good looking and durable medicine cabinet with nine tempered glass shelves so you can store everything you want. 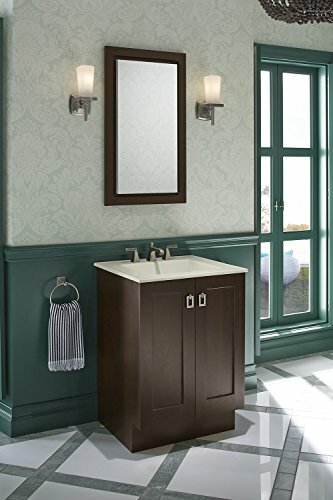 KOHLER K-99011-NA Verdera 40-Inch By 30-Inch Slow-Close Medicine Cabinet With Magnifying Mirror features an elegant and stylish design that will enhance the beauty of your bathroom. 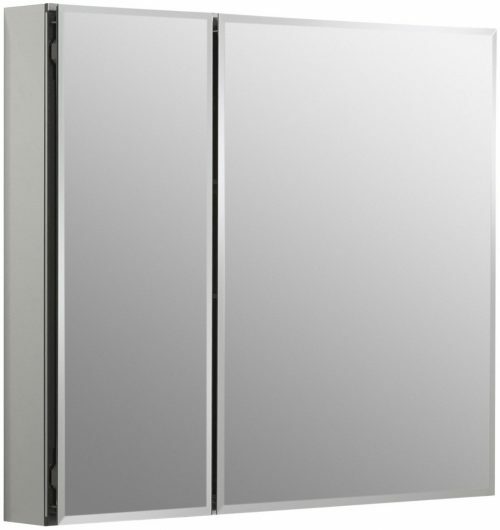 This Kohler medicine cabinet also comes with 2-way hinges that are adjustable with the 110-degree opening for easy access to the cabinets. Triple mirrored doors that create a light-filled gallery effect and vertically-adjustable magnifying mirror on the interior of the cabinet’s door. Can easily be installed with right or left-hand swing for recessed or surface installation. 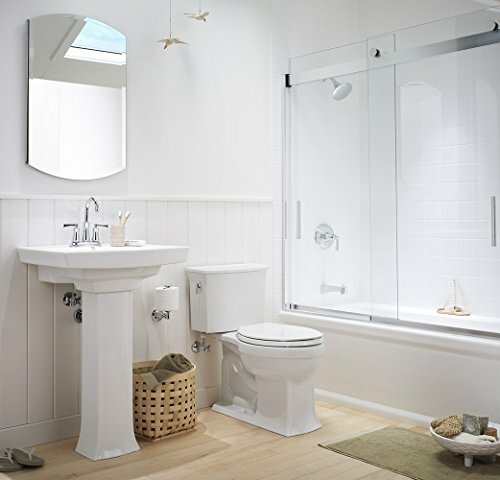 Boasts slow close doors built to allow a quieter bath environment by preventing slamming. Durable construction with rust free and chip free aluminum finish for long lasting performance. 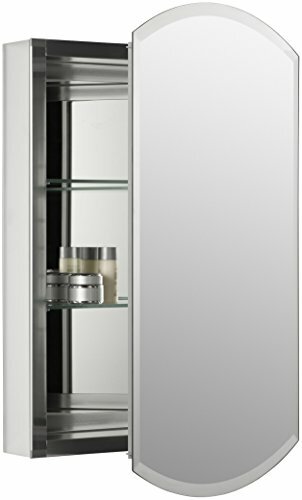 If you want a reasonably priced, basic and functional medicine cabinet, KOHLER K-99000-NA Verdera 15-Inch By 30-Inch Medicine Cabinet could be the one for you. You can mount this great cabinet with mirrors on the surface or as a recessed cabinet using the using the mounting hardware. 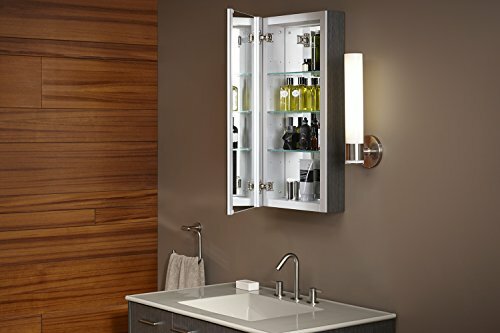 Being one of the best Kohler medicine cabinets, it provides a reliable way for daily preparation routines by storing all your basic bathroom toiletries. Inside this cabinet, you will find three adjustable tempered-glass shelves that offer more storage space. 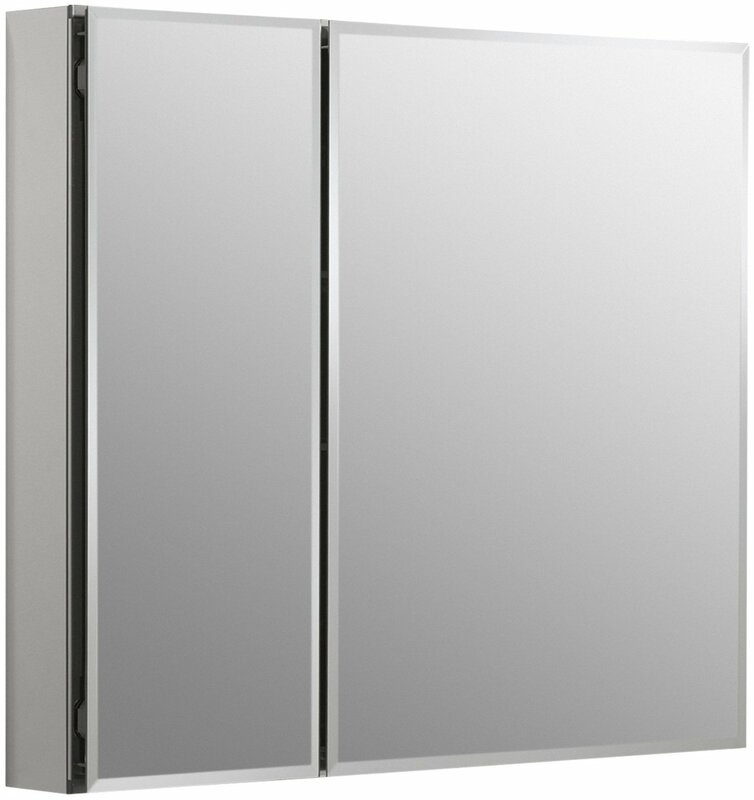 Includes 2-way adjustable hinges featuring 108-degree opening capability that allows you to easily access the Kohler medicine cabinets. Mirrored interior on the back of this cabinet’s door as well as on the cabinet’s back that creates the stylish design and can be quickly fixed with either right or left-hand swing. Durable aluminum construction that is rust free with the chip-free finish. 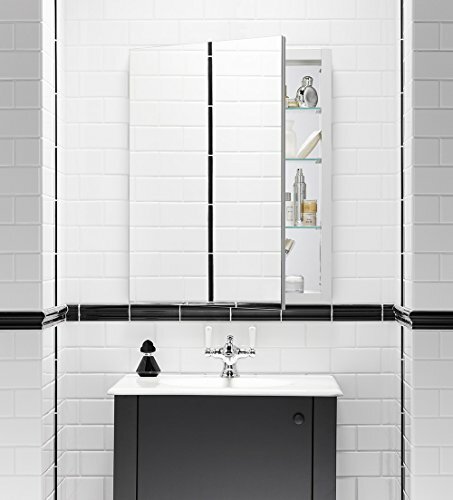 If you want to add a modern feel to your bathroom, then this is a great cabinet option for your bathroom. Complete with everything needed for storage of all your toiletries, this mirrored cabinet will not disappoint. 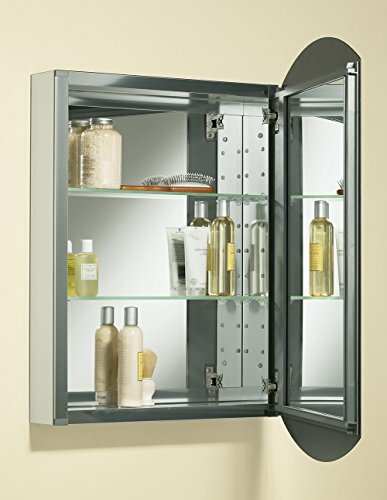 KOHLER K-CB-CLC2031BAN Single Door 20-Inch by 31-Inch by 5-Inch Aluminum Cabinet is well-built and its two adjustable tempered-glass shelves are good enough to store your essential items allowing you to use them easily when needed. Its aluminum construction, on the other hand, has the capability to protect it from rust thereby ensuring years of use. Boasts silver aluminum finish that is chip free with two installation methods including surface or recessed installation. 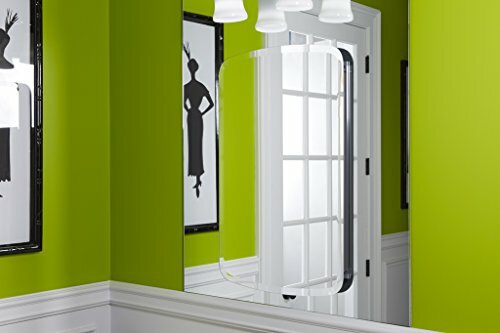 1-inch beveled frameless door that is sure to give your contemporary personal bathroom a stylish and elegant look. For quick and easy access, it is reversible for either right or left-hand opening depending on your needs. 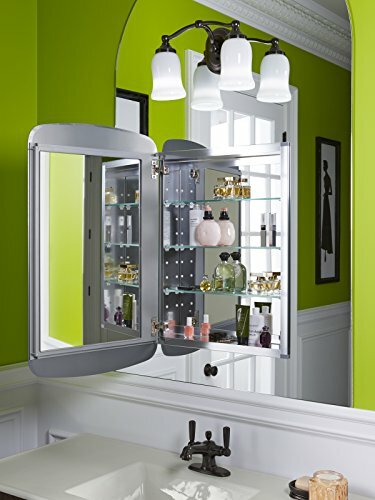 Includes mirrors on the interior back of the Kohler medicine cabinets and on the door too. 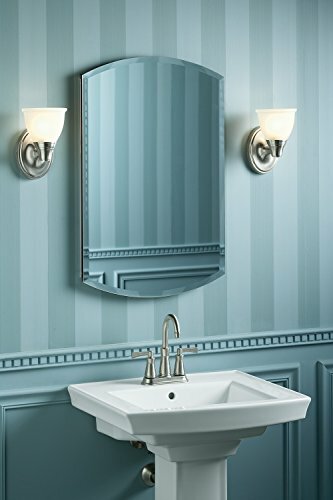 Why Choose Kohler Medicine Cabinets? First, Kohler medicine cabinets come with various mounting options thereby allowing you to choose one that suits your needs. They are also very easy to install making them perfect for both professional and DIY installation projects. In addition, they feature innovative technologies with plenty of storage space for all of your essential toiletries. 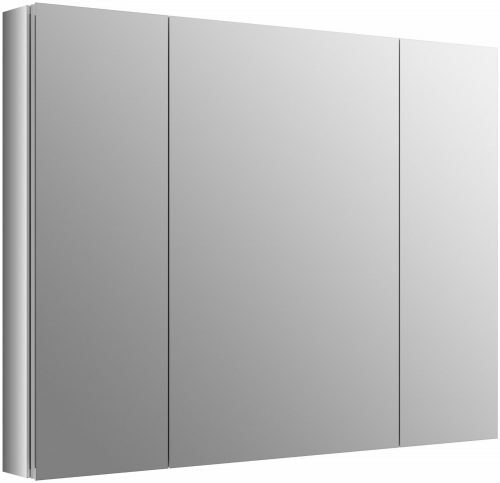 The Kohler medicine cabinets are also available in various sizes including single, two and three door configurations and boasts aluminum construction for long lasting performance. Competition - Which One Is the Best among Reviewed and Why? 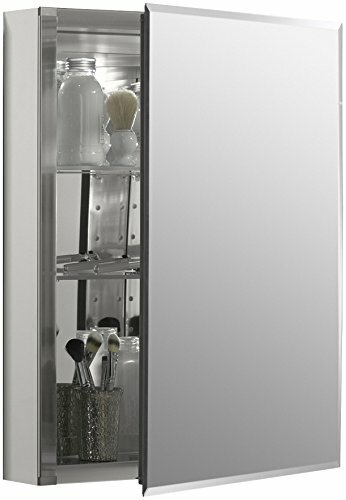 The KOHLER K-CB-CLC3526FS 35"-by-26" by 5" Double-Door Aluminum Cabinet is the best cabinet in this review for its great functionality and features. 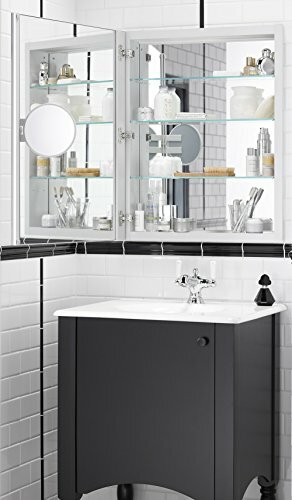 Affordable like most of the Kohler medicine cabinets in this review, this cabinet is one of a kind. It boasts plenty of storage space with four adjustable glass shelves. 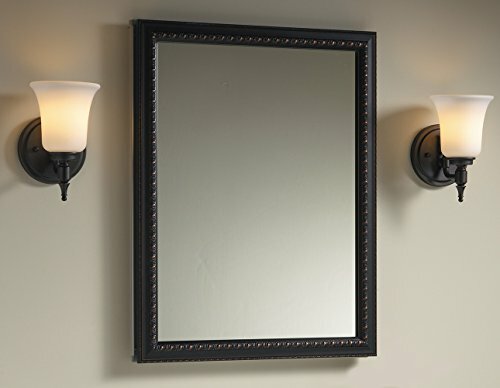 It also comes with a stylish triple mirror design and is accompanied by a 1-year limited warranty for your peace of mind.